Well, today is Saturday, and Romy has a drill weekend. Tonight I wanted to do the high ropes course at the YMCA, but that is propbably not going to happen since Romy will do something else with army friends. Oh well. I am exercising everyday for about an hour to an hour and half, so that is good, and I'm really watching what I eat, so its not that much. Today though, I just really don't feel like going to the gym since I woke up so late. Maybe I will go running outside instead. 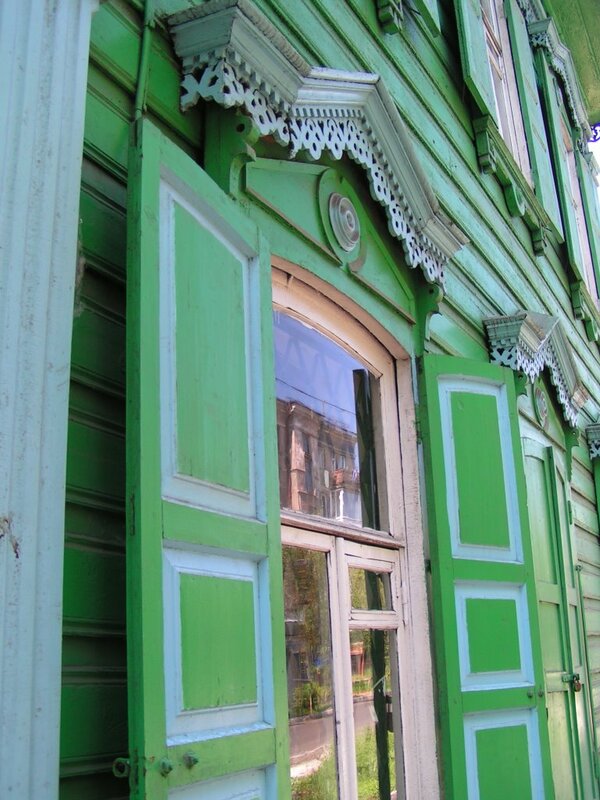 PS: This pic to the right is a traditional wooden house in Siberia. We took the picture in Irkutsk. 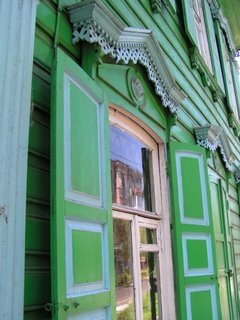 They have detailed woodwork around the windows, and they like to paint them bright colors. It probably looks so nice in the snow!